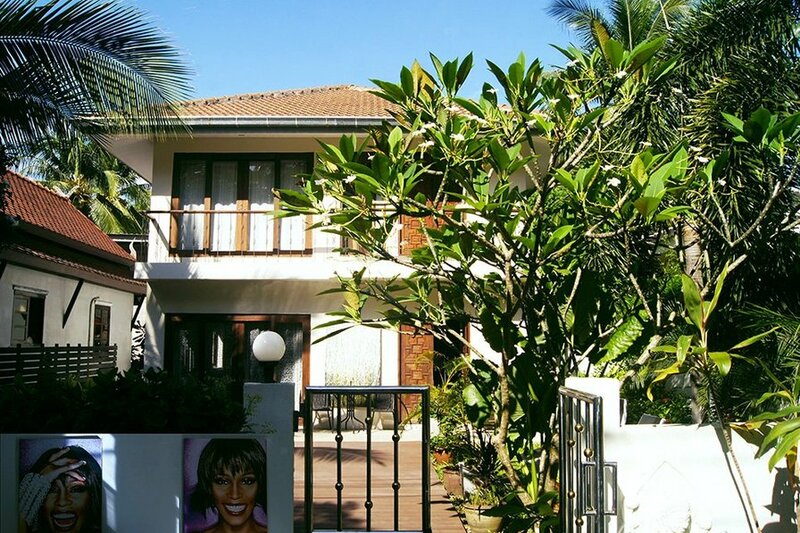 Great 2 bedroom private pool villa near prestigious beach Lamai on Samui Island. Also Silver Beach is the best beach on Samui is 1.5 km away. Villa Whitney named to the memory of Whitney Houston. Suitable for the families or company of 2-6 persons. 2 bedrooms with air conditioning (both with kingsize beds) with ensuite bedrooms. Villa has 2 bedrooms in total plus 2 sofa beds on the first floor. You can set up alarm for the house, also the system is able report you with sms to your mobile phone number if there's electricity cut-off/ or it switched on again if you out of the house. Green surroundings and jungles, serenity, but still near the buzzy area which is easy to reach by foot. The night market and main street of Lamai is just in 10-15 mins walk. The walking street with clubs and exclusive shops of Chaweng is 5-10 mins ride on a bike. You can get to any point on the island by tuk-tuk or better rent you own bike (or a car) easily right at the location. Or just have a walk by foot. Multiple restaurants at the beaches and in Lamai. One of the biggest molls on the island - Tesco Lotus is very near. You will be taken care with our advices during all of your stay if you need.